From fire (in my last post) to ice, here. 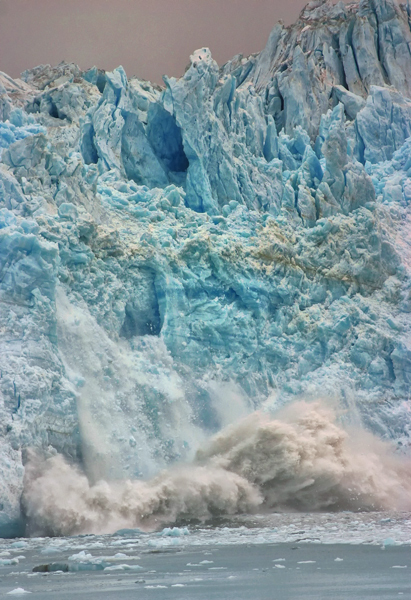 The sudden release and breaking away of a mass of ice from a glacier is known as calving. Witnessing this phenomenon is a once in a lifetime experience. The sound that occurs when the ice breaks off is like a resounding crack or boom you might hear in a severe lightning storm. All in all, one of the great natural acts one can witness that stays with you forever. …On a separate note, sometimes a photograph can exhibit an image inside an image. 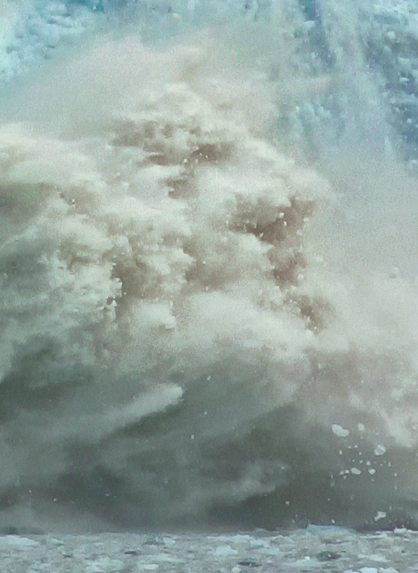 If you look to the bottom right of the frame, you can see what looks likes a human face in the crashing icy water. I have isolated it below to exhibit its eerie likeness. Just a little something extra in an already phenomenal experience. If some one wishes to be updated with most up-to-date technologies therefore he must be pay a visit this web site and be up to date every day.